Your goals for woodlot management should directly reflect your values. To achieve these goals, an owner must have objectives which, when implemented, should meet the landowner’s long-term goals. 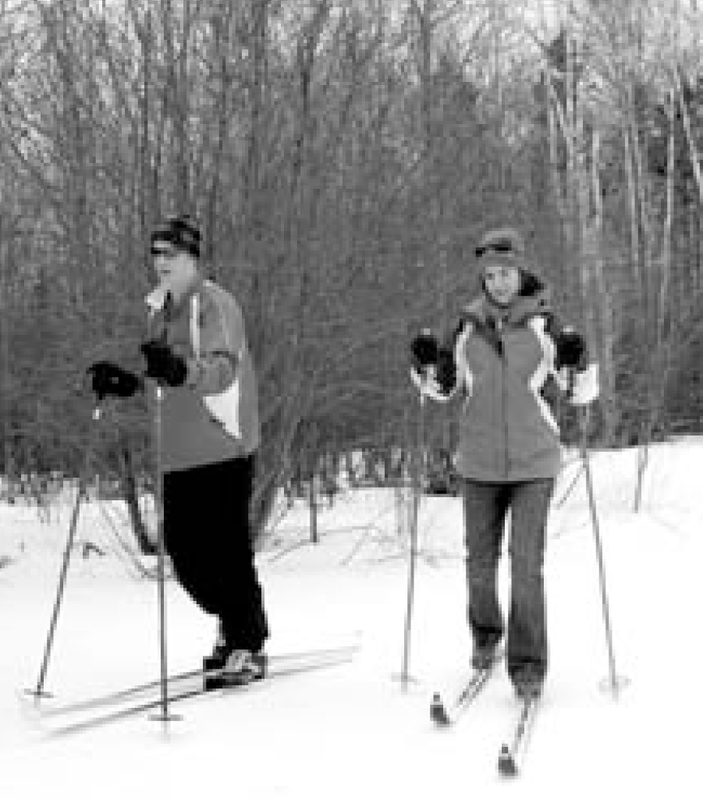 As a woodlot owner you may have several goals, all within reach. Meeting some objectives, however, requires technical skill and “woods-sense”. For this reason you will likely want to consult with a forest professional prior to embarking on an ambitious journey to meet your goals. Setting out with a good plan is much like stepping off on the right foot. A good plan will give you direction and purpose. 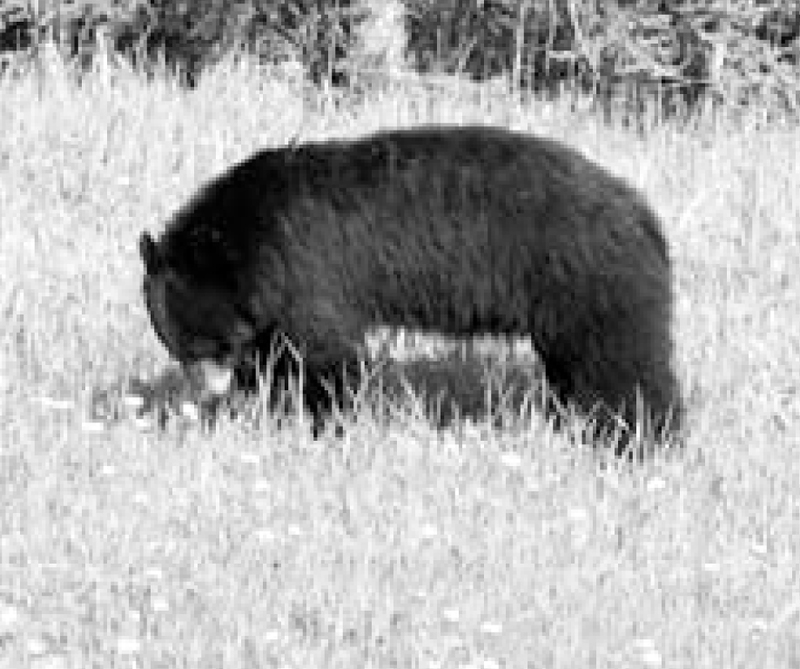 Most woodlot owners recognize that they have a property with trees and wildlife. 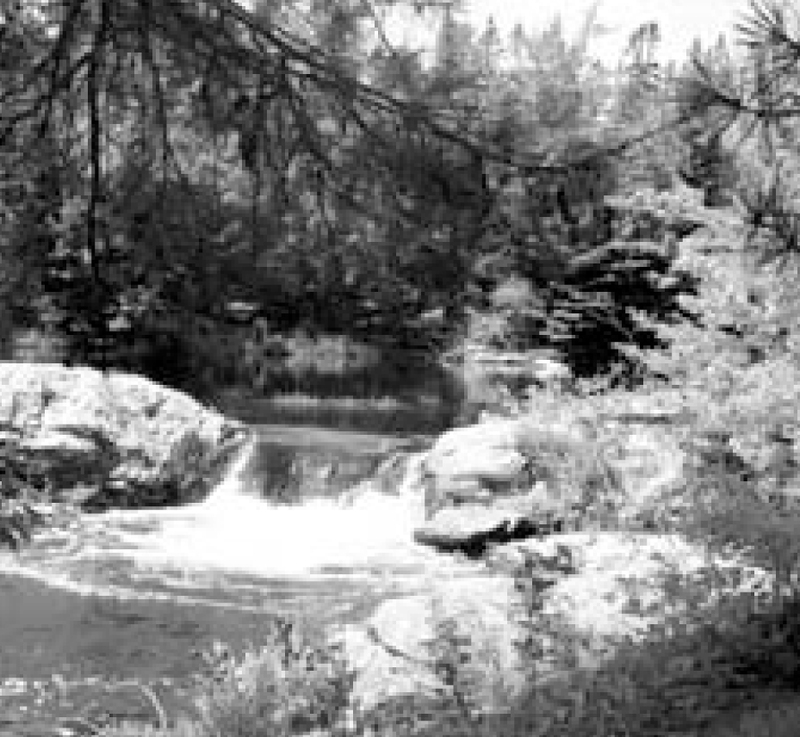 There may be streams flowing through the woodlot, old roads and trails, and different tree species may be growing in some areas rather than others. Some woodlot owners make their woodlots a life-long passion, learning about the various trees and ground vegetation, closely observing wildlife and learning their life habits and habitats, and taking courses that teach them how to properly fell a tree. 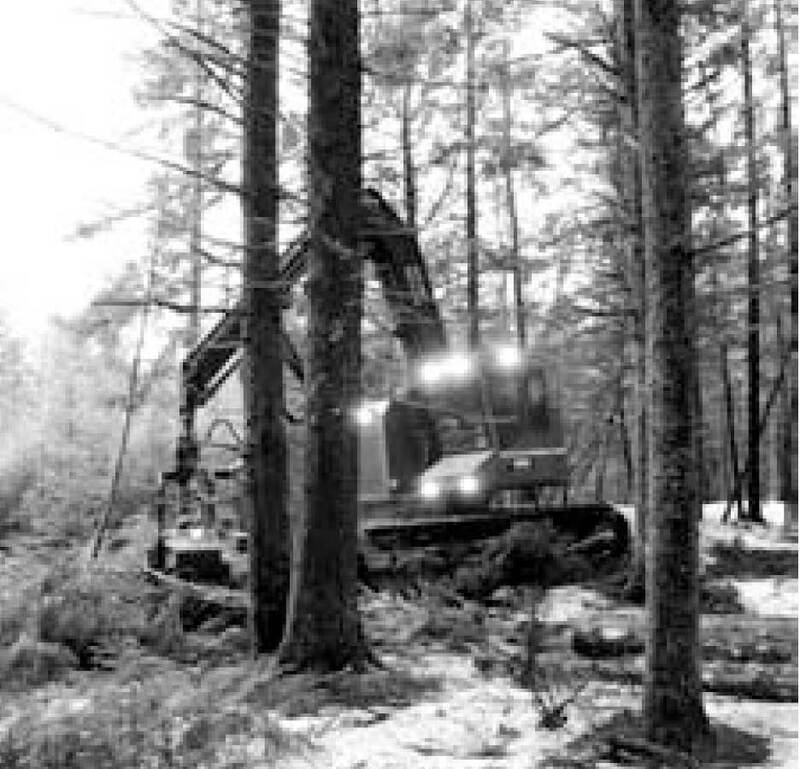 Many woodlot owners actively manage their properties. 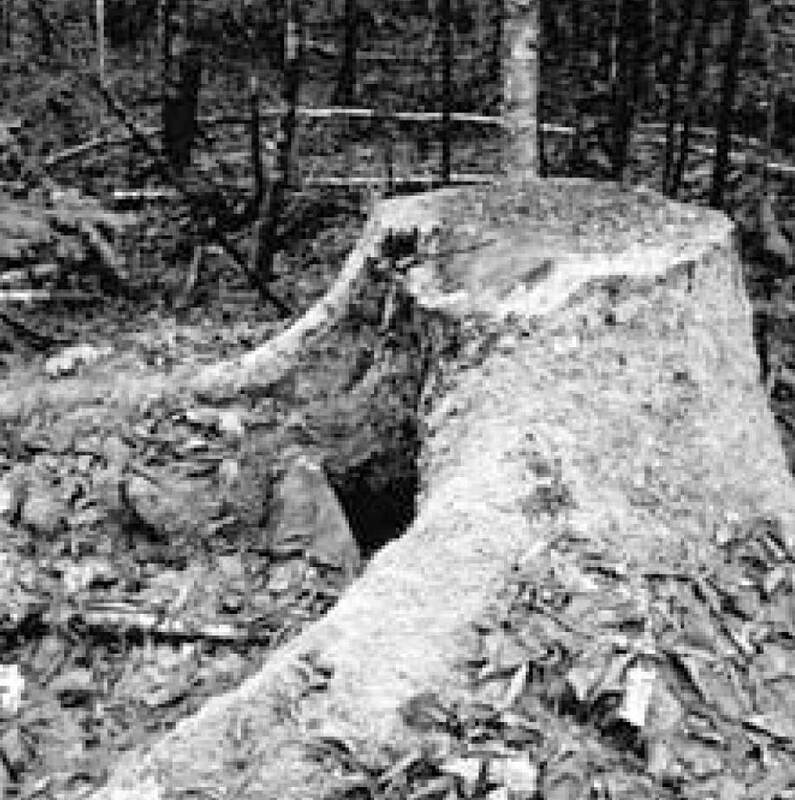 Other woodlot owners wish to manage their woodlots in a “hands-off” manner. They don’t have the time or ability to learn everything they would like to know about woodlots, or they simply may not be interested. 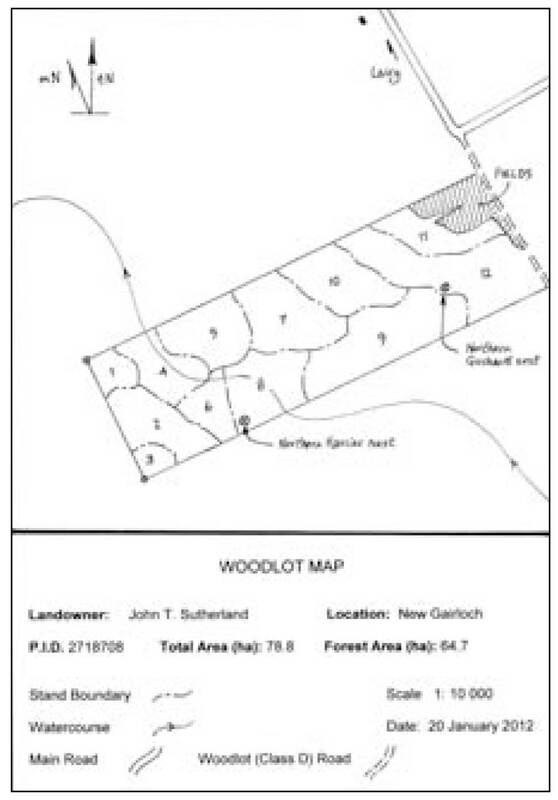 For both styles of woodlot ownership, it is still important to use all the expertise and information that may be available, including consulting with a forest professional. The planning stages of woodlot management are so critical that you may find that hiring a forest professional is well worth the cost. 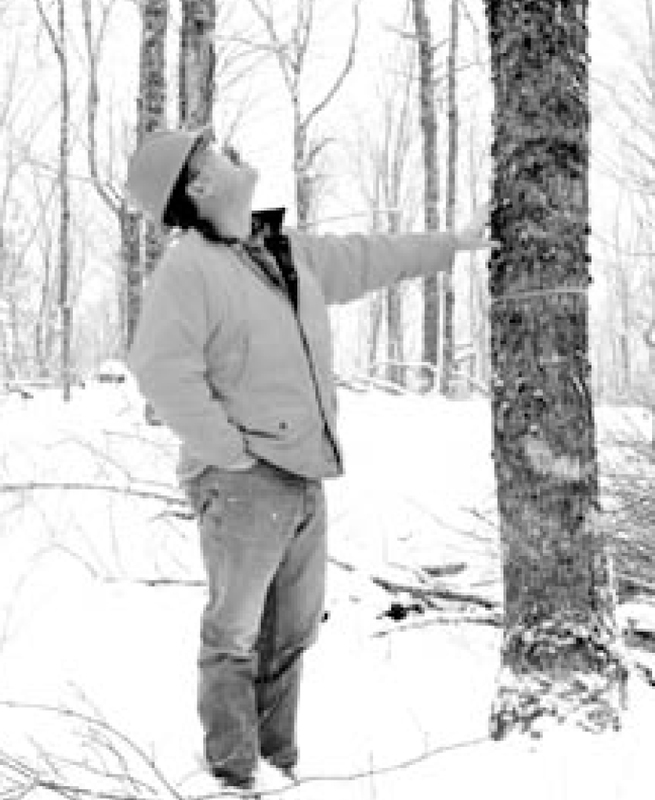 Other woodlot owners can be valuable sources of information and enthusiasm. Talking with them can lead you to many excellent resources for your own use. Joining local woodlot owner associations has benefits that are unique and rewarding. Woodlot field days are popular and can bring together landowners with the same interests. Such networking provides good opportunities for woodlot owners to share their knowledge and experiences. 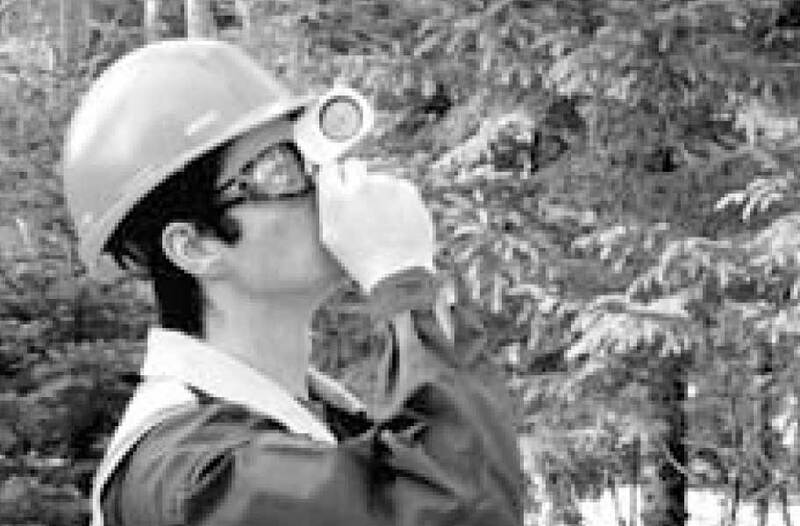 Forest professionals have the training and experience necessary for compiling a plan which will consider your goals and objectives and the best ways to meet them. They can help you to set priorities and get work done. 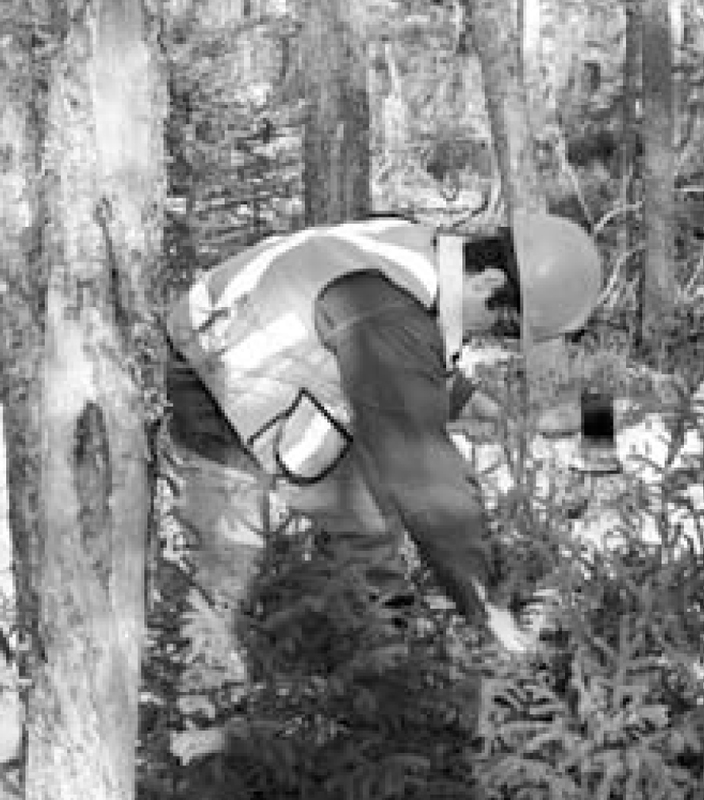 Forest professionals can help you determine the most realistic expectations for your woodlot, based on soils and vegetation types, presence of wildlife habitat, and the growth rates and species of trees. If required, they can estimate the volume and value of wood products, determine the best places for roads, and find boundary lines. Consulting a forest professinal can help you achieve your goals. 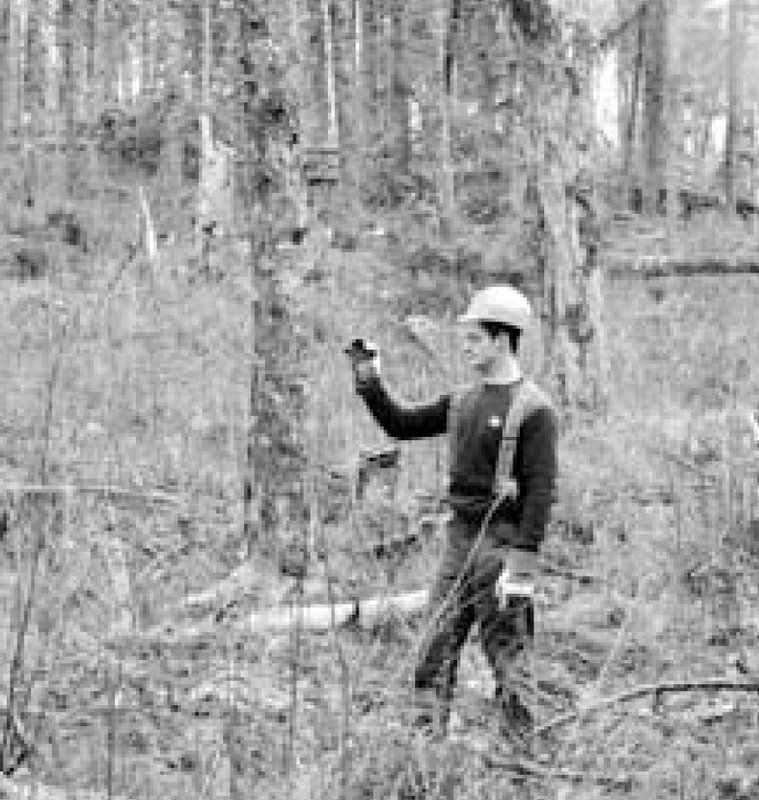 The cost of hiring a forest professional can vary, depending on your needs. Many forest professionals rely on consulting for their livelihood, so expect to pay for the services you receive. The cost of a detailed management plan can range from several hundred dollars to more than one thousand dollars. 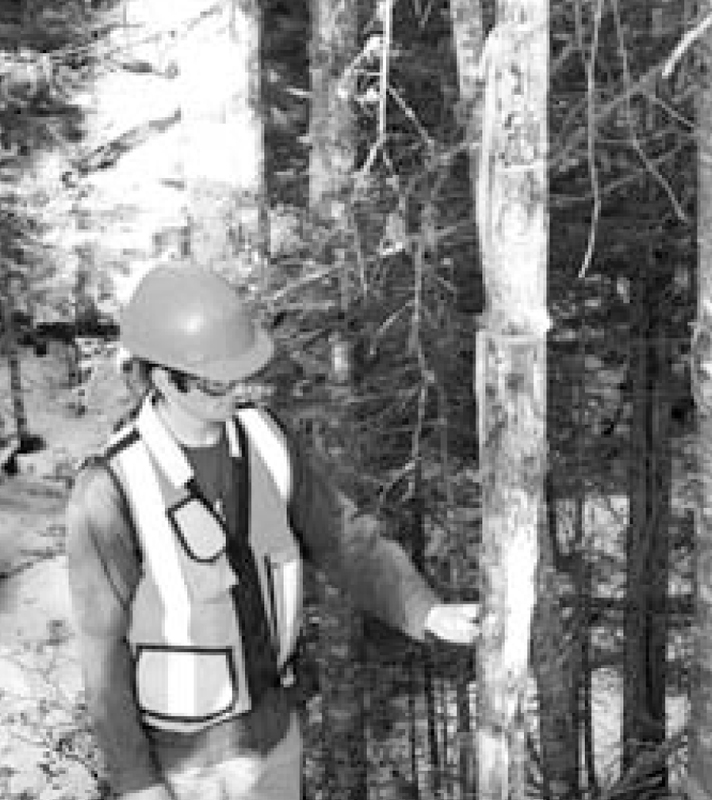 There may be additional costs for locating boundary lines, accurately assessing timber values, laying out woodlot roads, and supervising culvert and bridge installation. All of these services cost money, but you need to look at the benefits you will receive. A relationship between a woodlot owner and forest professional can be lasting and productive. 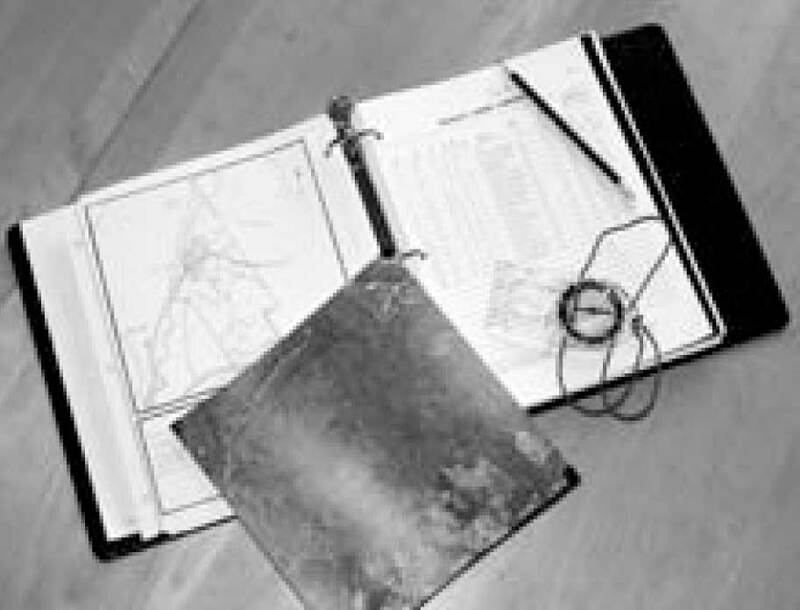 A good management plan is the result of effective collaboration, and once a forest professional becomes familiar with your land, he or she will manage it as carefully as they would their own land, but with your goals and objectives in mind. Most woodlot owners place values on different elements of their woodlots. These values deserve to be looked at in some detail, because they often bind tightly with the physical characteristics of a woodlot. Forest ecosystems are communities of plants and animals and their habitats. Every woodlot has forest ecosystems which are dependent on each other, but differ enough from each other that they can be considered separate communities. Identifying and classifying forest ecosystems in Nova Scotia is an initiative that has gained momentum during the last 20 years. 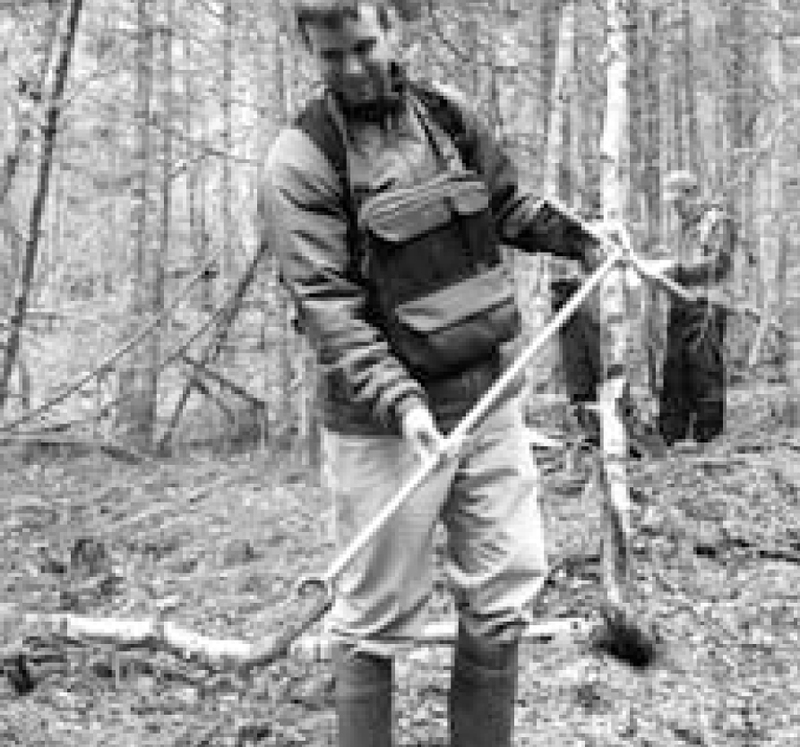 Sampling forest soils is an integral part of ecosystem classification. Classifying forest ecosystems based on vegetation, soil and site factors has helped forest planners to predict the outcome of forest management practices. 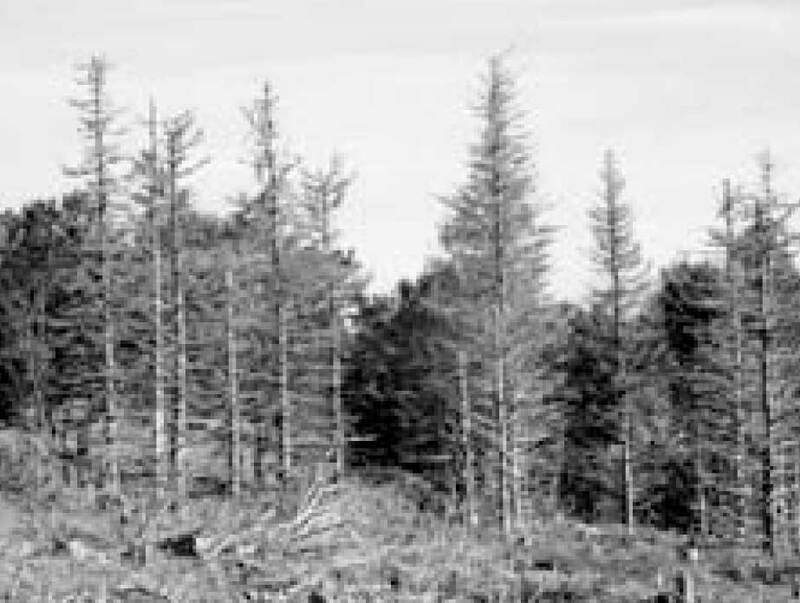 By incorporating Forest Ecosystem Classification (FEC) principles into the planning stages of woodlot management, woodlot owners and forest professionals will gain an understanding of the effectiveness and limitations of forest practices on classified sites. The planning unit associated with woodlot-level FEC is the ecosite. Each ecosite will have unique tree growth and yield characteristics, wildlife habitat components, and biodiversity features. Some woodlot management plans will have FEC units identified and described in their contents. This will lead to better informed management planning and predictability as the plan is implemented. Vegetation type, together with soil type, determines the FEC unit, called the ecosite. 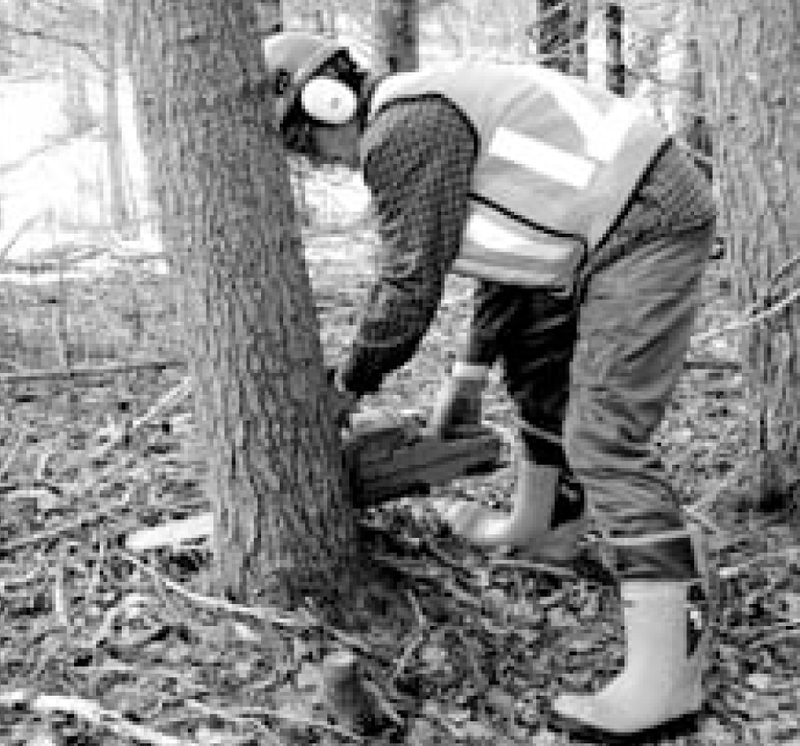 Many forest professionals are trained in classifying forest ecosystems, and can incorporate this important element into your woodlot management plan. Every woodlot has boundaries which mark the limits of ownership. Some boundaries may have been recently established while others may be centuries old. Where property boundaries intersect they form corners, which are critical points of reference for land surveyors and property owners. 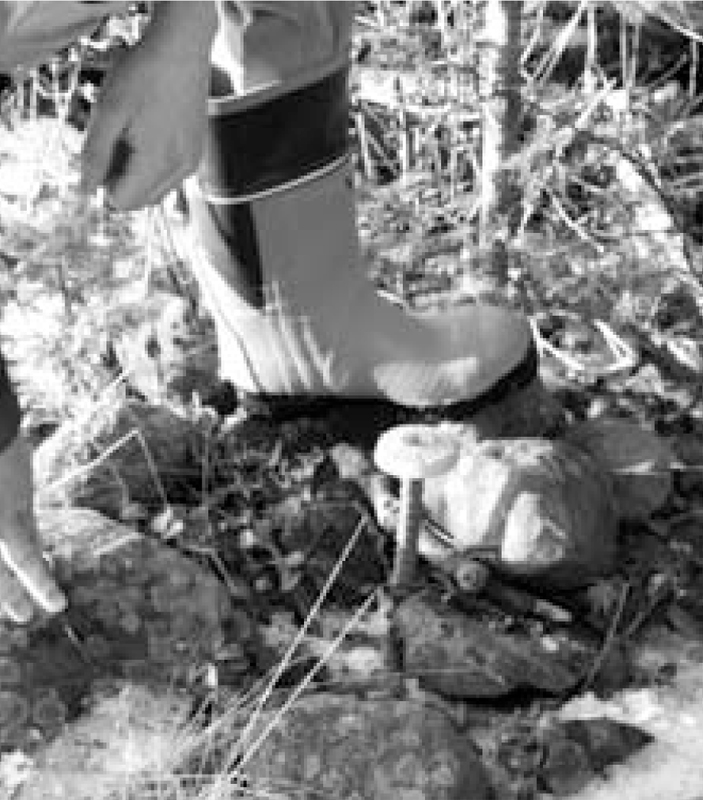 To develop an accurate management plan, the location and condition of boundary lines must be assessed on the ground. 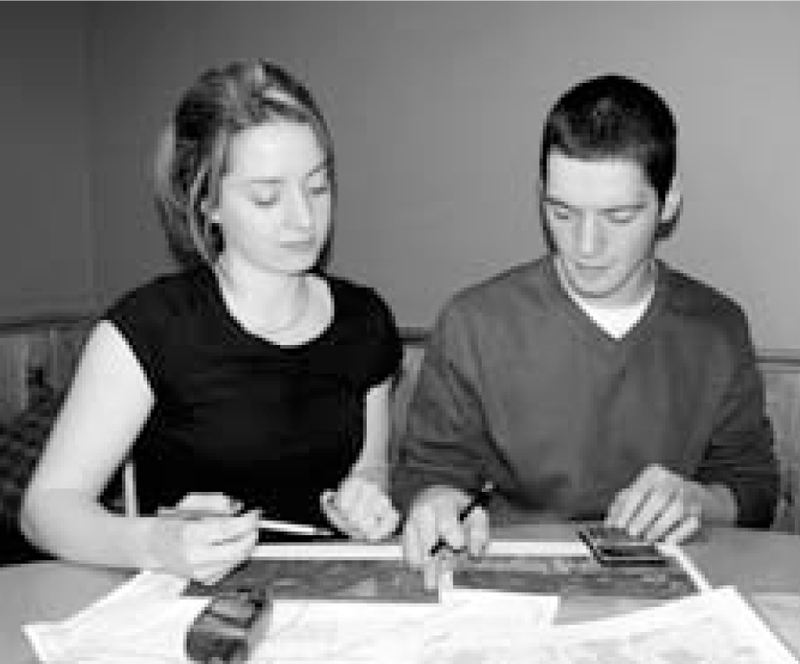 Deed descriptions and survey plans can sometimes help locate boundary lines if evidence of the lines can be found. Property Online, a service of Access Nova Scotia, may also be useful in helping to locate your boundaries in relation to other properties or geographic features. Woodlot boundaries should be well marked. Boundary lines should be well maintained, marked and easy to identify. 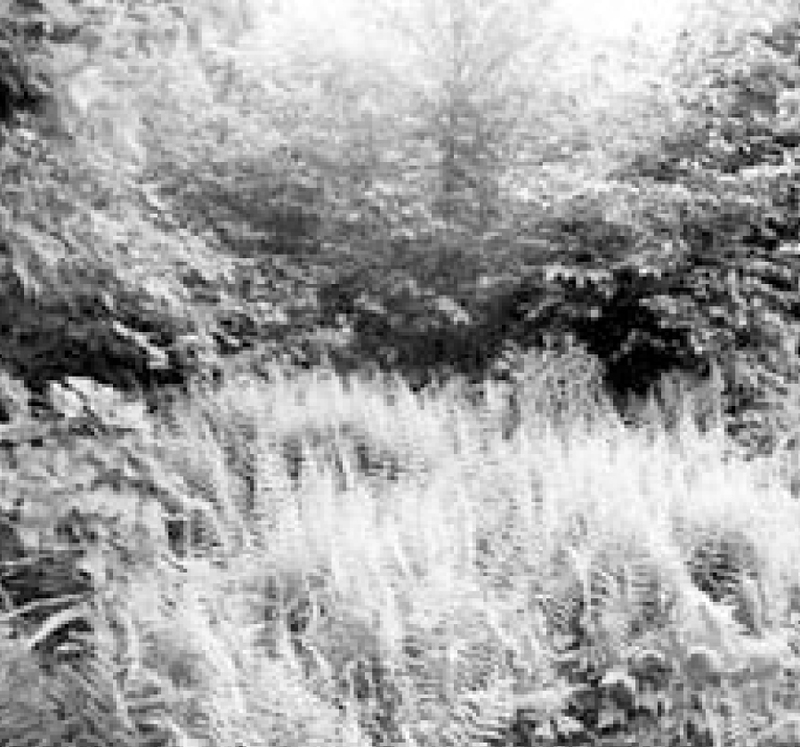 Over time, lines become overgrown with shrubs and clogged with wind thrown trees. It may take a significant effort to locate boundary lines after decades of neglect. In some cases lines must be re-established by a licensed surveyor and if corners are lost, their relocation by a surveyor is essential. It is cheaper to maintain a boundary line than to re-establish one that has been lost! Boundary lines should be renewed at least once every ten years. This may involve clearing out the brush along the line and re-blazing trees if necessary. Take care not to destroy existing evidence such as old blazes, wire and stone fences, or other indicators of a boundary line. 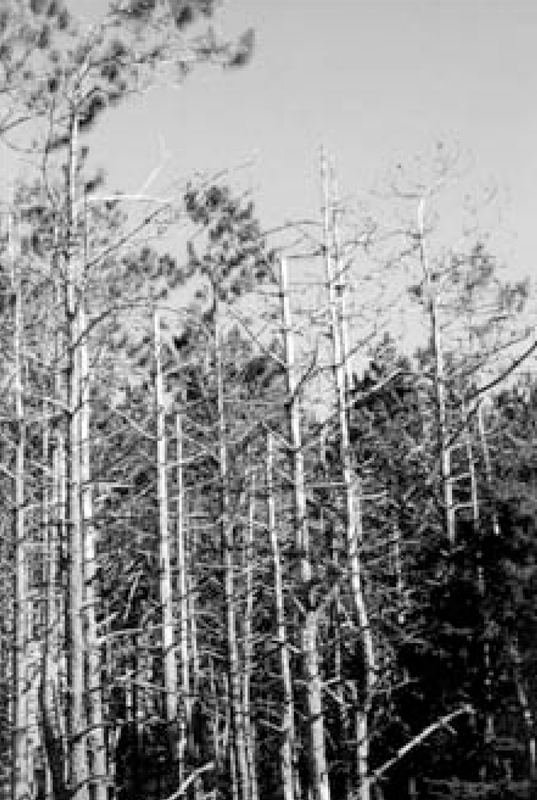 If a tree requires re-blazing, the tree should be marked above or below any existing blaze. Wire can be marked with flagging tape. Woodlot boundary corners should be clearly identified. Property corners are sometimes marked by a metal stake placed by a licensed surveyor, and may have a metal or plastic cap with a reference number. Corners may also be marked with four-sided wooden posts and piles of stone. It is absolutely essential to preserve these corner indicators. 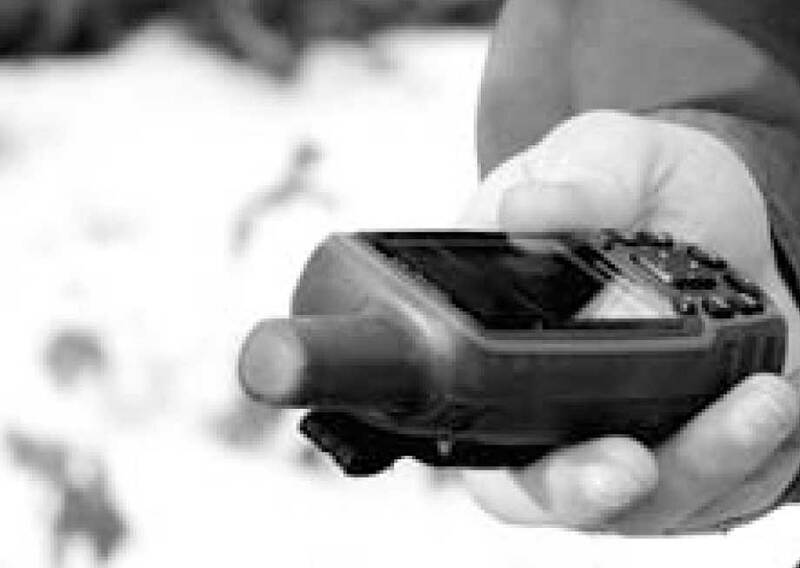 If they are encountered in an unexpected location, a licensed surveyor should be consulted to verify any existing evidence. It can be pleasant work clearing out an existing boundary line. An axe can be used to clear brush and mark trees. Tree blazes should be marked with bright paint, but only when it is certain that they represent the correct boundary. 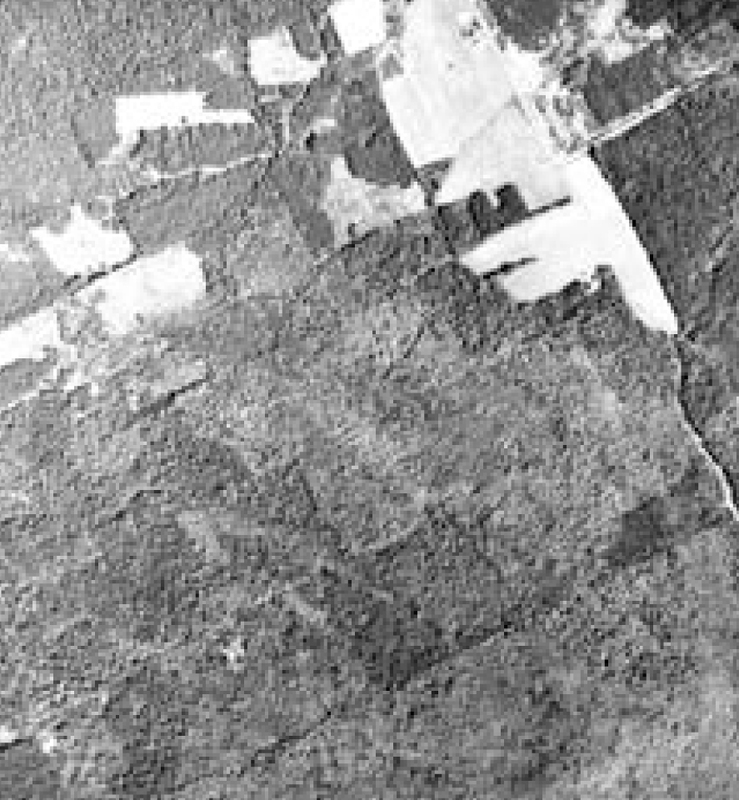 A woodlot management plan should have a description of the condition of all of the boundary lines, together with any recommendations for maintenance. Boudary lines must be regularly maintained. An accurately established and well maintained boundary brings peace of mind to woodlot owners – on both sides of the line! 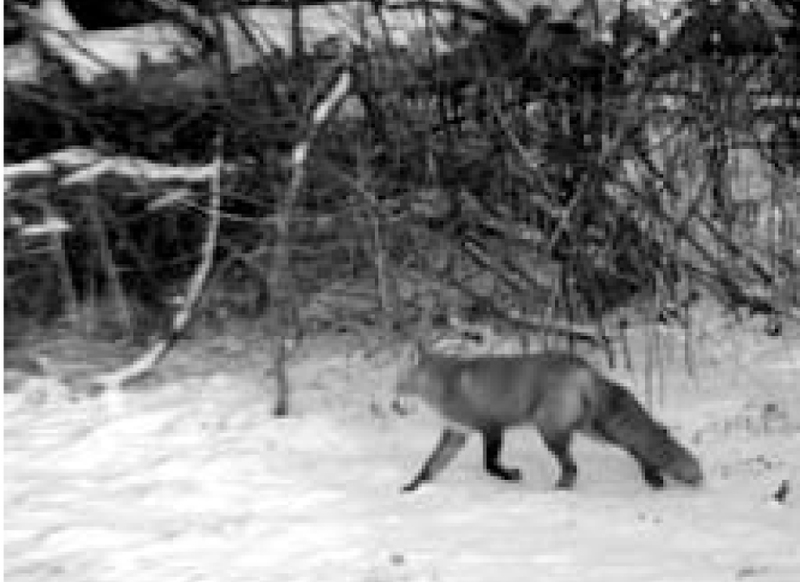 Most woodlot owners place wildlife high on their list when asked to identify their interests. 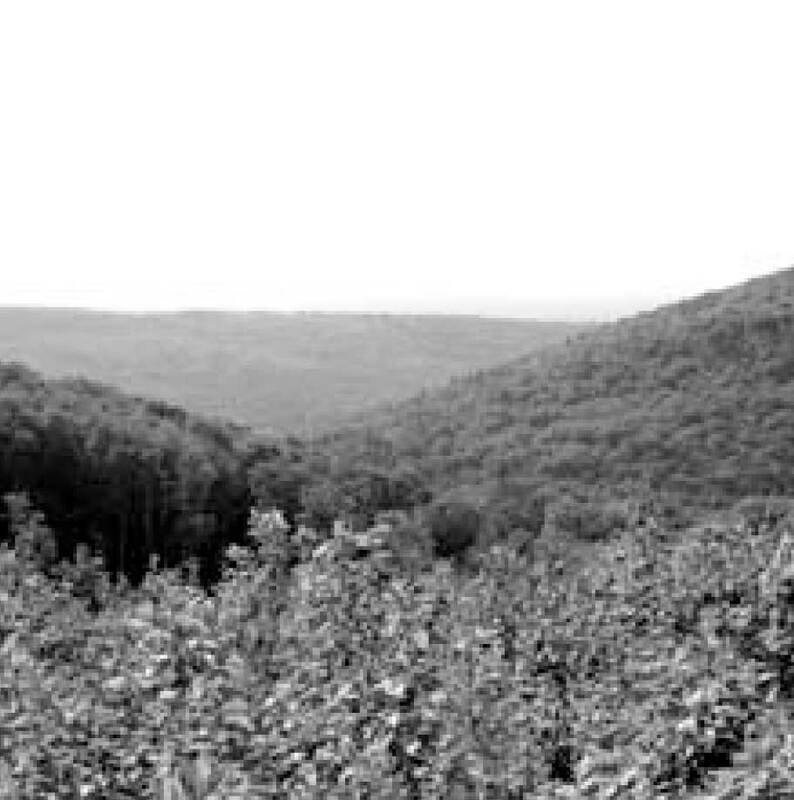 A woodlot management plan can indicate areas of a property that already have good habitat or may benefit from habitat enhancement. Habitat for wildlife can be enhanced on woodlots. • Standing dead trees (snags) and living or dead trees with holes (cavity trees) are hotspots for wildlife. These trees are used as perches by raptors such as hawks and owls to look for prey. 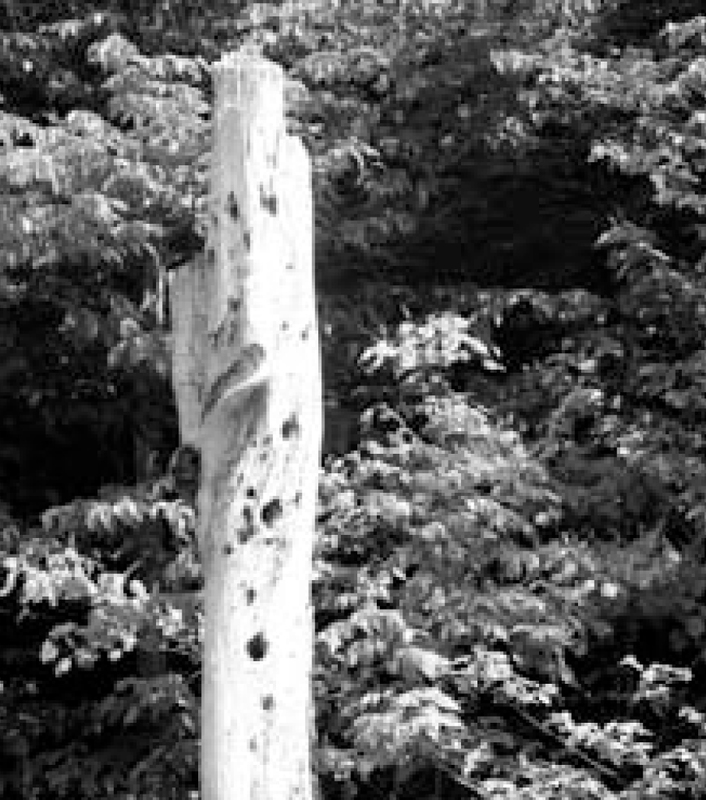 Cavities made by primary excavators such as woodpeckers may also be valuable as nests and dens for birds and mammals. 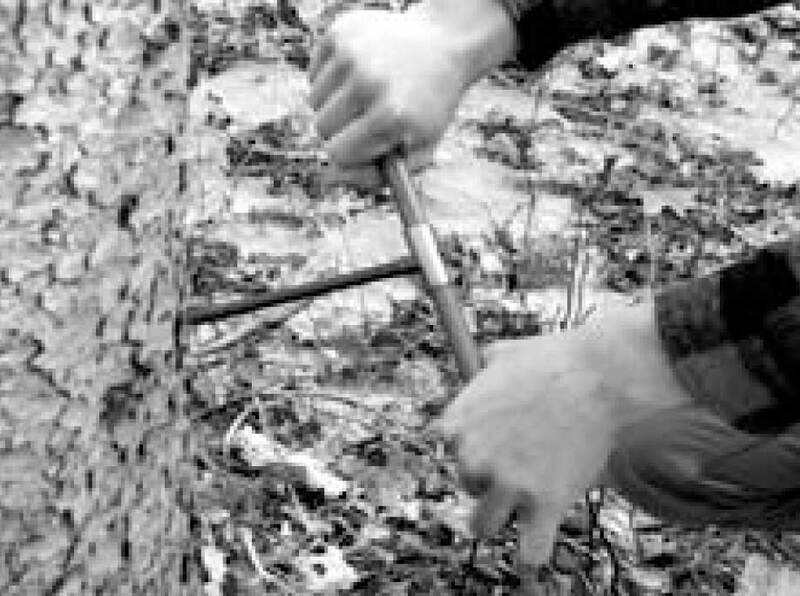 Where cavity trees and snags are present in your woodlot, they should be identified in the woodlot management plan. Apple trees are like magnets to many species of wildlife. • Mast producing trees and shrubs such as oak and beech produce edible seeds that are high in nutrients for many species of wildlife. During the fall and winter, woodlots that contain these tree species are frequently used by whitetail deer, black bears and other mammals and birds. • Stands of dense softwood are often used as shelter by whitetail deer during winters of heavy snow. These stands should be identified in the woodlot management plan if it appears that they are being used for this purpose. • Stands of trembling aspen (poplar) make valuable ruffed grouse habitat. The buds and seeds of these trees are eaten by these game birds, while younger stands of aspen provide cover for nesting grouse. Snags are important wildlife features. • Alders, which grow on moist soils, provide habitat for woodcock which probe the soft soil for earthworms. Snowshoe hare may also be abundant under the cover of alder thickets. These sites should be identified on the woodlot map as potential wildlife zones. • Edges of forest stands are frequently visited by many species of forest birds and mammals. Breaks between hardwood and softwood stands are sometimes overlooked as productive wildlife edges. • Vernal pools are often found in areas where the water table comes close to the surface, or where water has collected on rocky soils. These small bodies of water provide valuable habitat for amphibians such as salamanders and frogs, which are important links in the food chain of a healthy forest. During summer, vernal pools may dry up completely or be reduced to patches of moist soil, and may be overlooked. 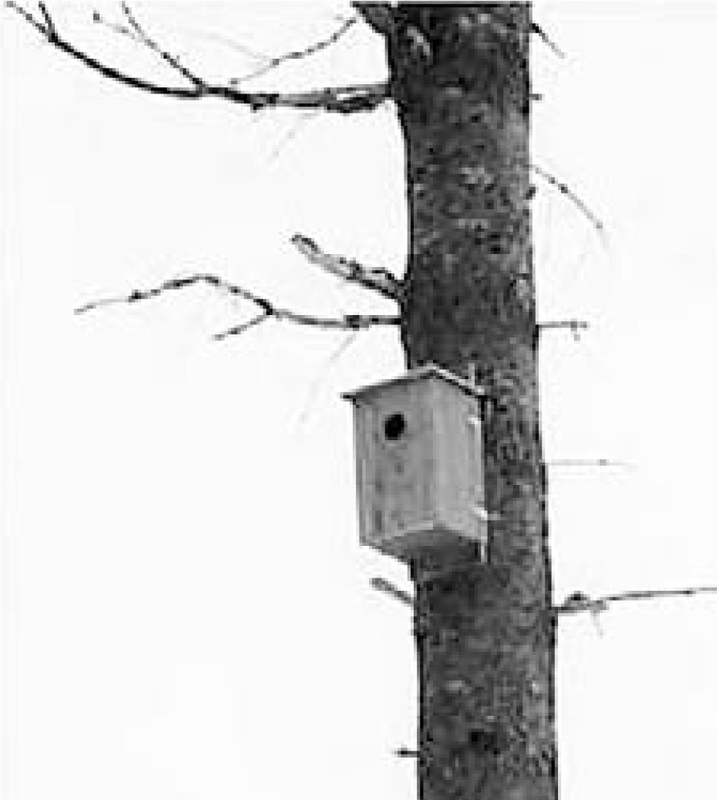 Nest boxes help wildlife that nests in cavities. This box provides a nesting site for American kestrels. Do you prefer a woodlot that has an orderly look about it, with tidy rows of trees and little underbrush? Or would you rather see a diverse, natural looking woodlot that begins to take on the appearance of a primeval forest? Most woodlot owners take pride in the physical appearance of their woodlots. If you have a preference, this should be considered and noted in your management plan. 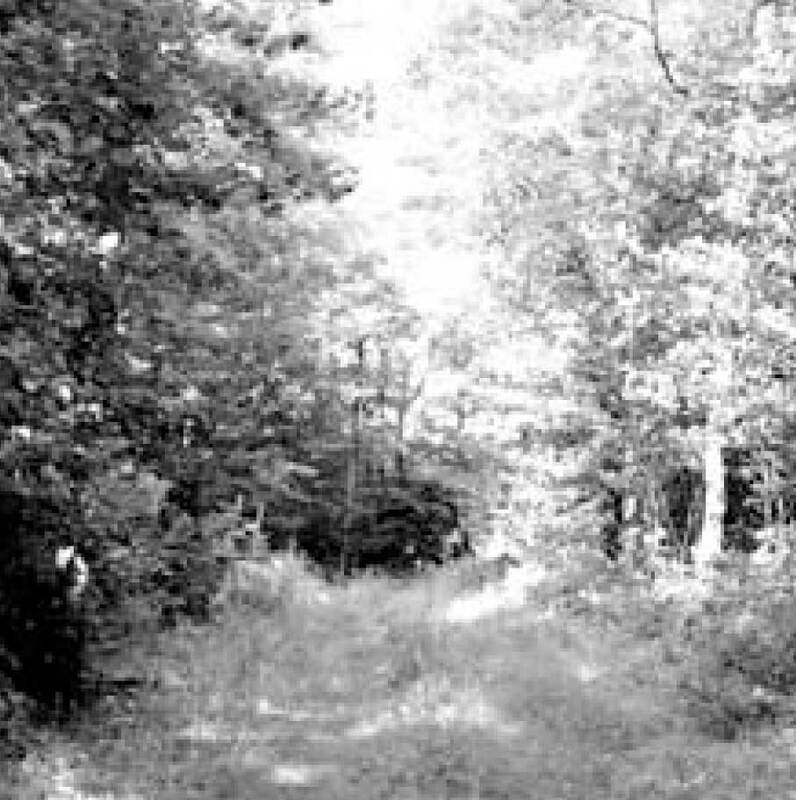 In many cases, management features such as the size and shape of cutovers, the presence of tree thinning adjacent to roads, and the absence of heavy equipment ruts contribute to a landowner’s goal of good aesthetics. 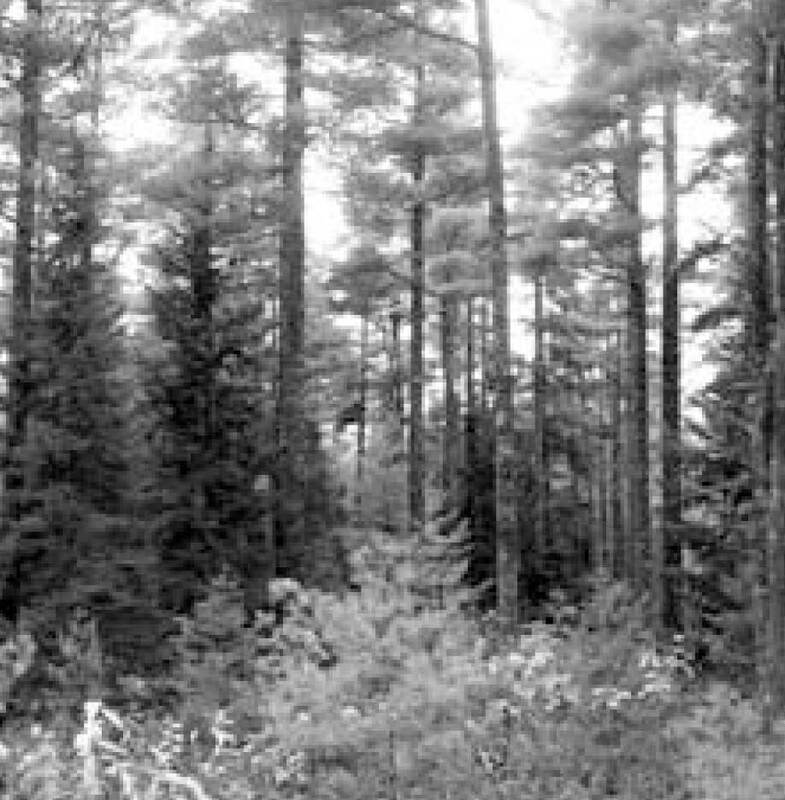 Some landowners prefer an orderly-looking woodlot. Many people value the sanctuary and solitude that forests evoke. Woodlot owners often cherish the quiet atmosphere and presence of nature that their woodlots provide, and spend time walking and absorbing the splendor that surrounds them. 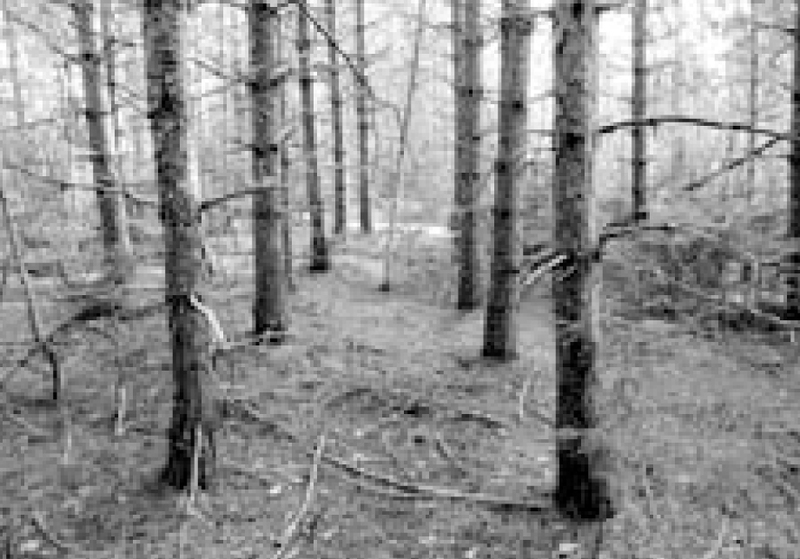 Woodlots can be a source of solitude. As havens for retreat during vacations and special occasions, woodlots can elicit feelings of escape for their owners. With good planning, work on your woodlot can be scheduled for those times when you may be less inclined to spiritual sanctuary. 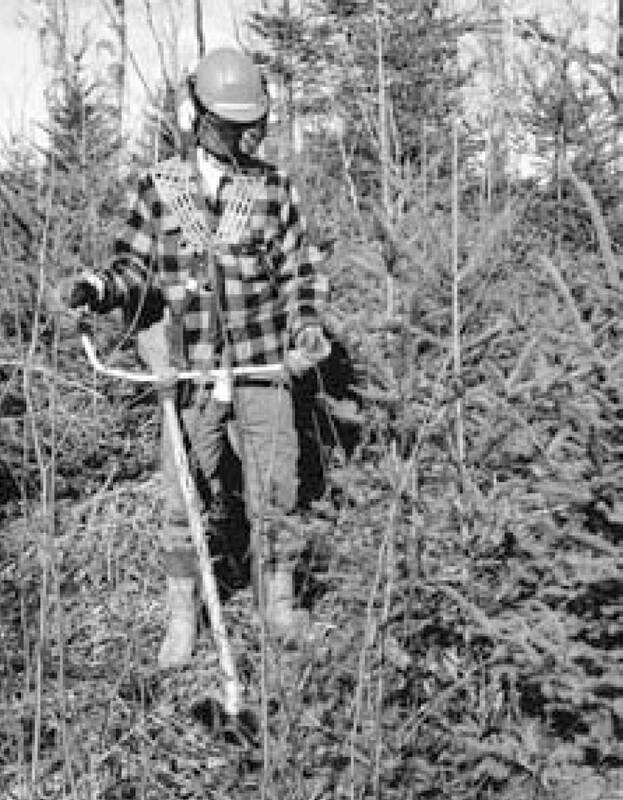 It is important to remember that nothing on your woodlot exists in isolation. Because every living thing on your woodlot is intimately connected, a plan should consider these relationships and link them with your values and objectives. While timber production may be one of your objectives, the growth of trees is dependent on many things. These can include the moisture content and fertility of soil, the presence of insects and disease, the absence of damaging fires, and various silviculture treatments which can increase tree growth, regeneration and quality. Potential insect and disease problems should be addressed in the woodlot plan. By managing all of these resources in an integrated and sustainable manner, the overall health of your woodlot will be improved and your objectives will more likely be achieved. With ever increasing demands for wood fibre, some consumers are choosing to buy forest products from sources that certify that the wood has been produced by sustainable forest practices. These consumers are willing to pay more for their product if it bears the logo of a recognized certification standard. Woodlot certification can be a source of pride for woodlot owners. Some woodlot owners in Nova Scotia have chosen to have their woodlots third party certified in order to improve access to markets that prefer certified wood products. 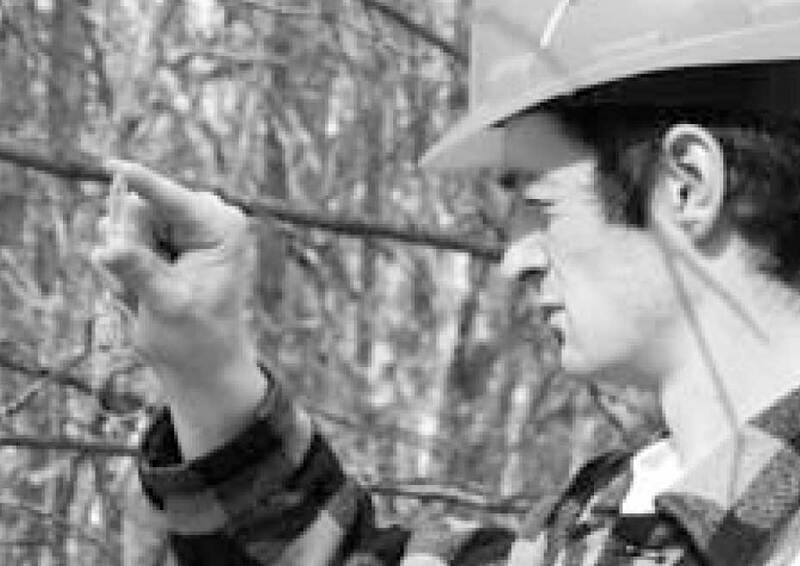 Each woodlot owner must weigh the costs and benefits of certification to his or her satisfaction. 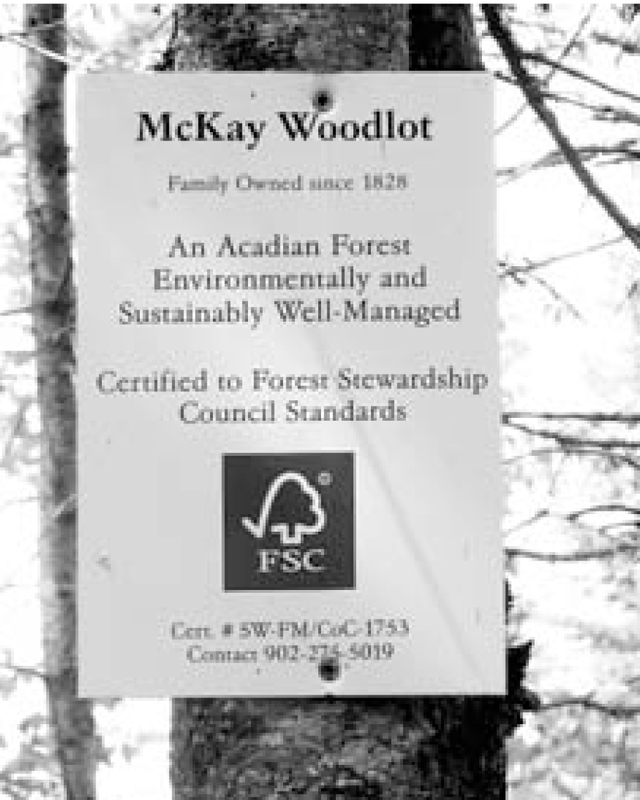 Woodlot owners in Nova Scotia have a choice of certification standards: Forest Stewardship Council (FSC) or Canadian Standards Association (CSA). It is beyond the scope of this module to explore certification standards, but for planning purposes the standards demand management plans that differ in detail but are similar in scope and design. Beattie, M. Thompson, C. and Levine, L. 1993. 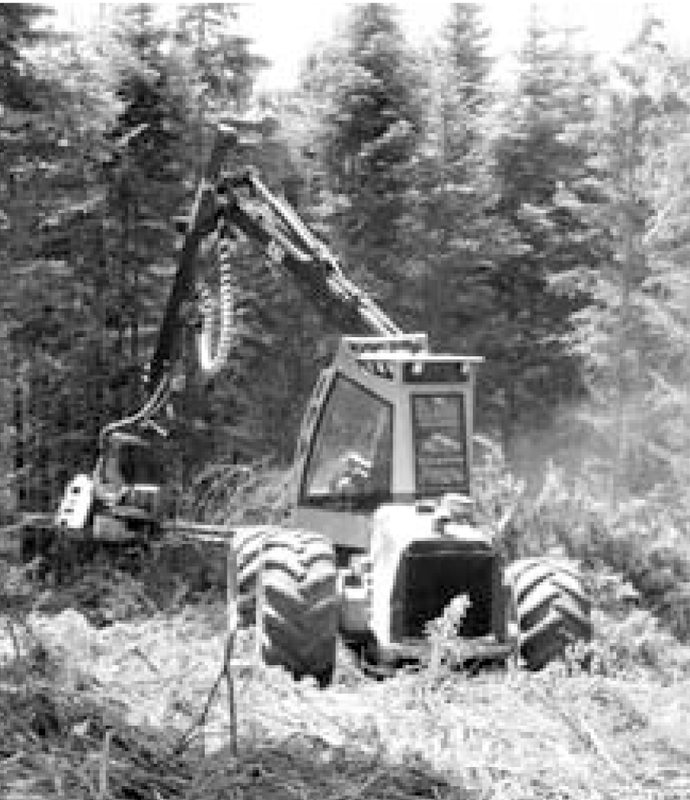 Working with your Woodland: A Landowner’s Guide. University Press of New England, Lebanon, NH. 279 p.
Brett, Richard M. 1983. A Woodlot Primer. Country Journal Publishing Co., Brattleboro, VT. 134 p.
Fazio, James R. 1987. The Woodland Steward. The Woodland Press, Moscow, ID. 211p. Hilts, S. and Mitchell, P. 1999. The Woodlot Management Handbook. Firefly Books Ltd., Willowdale, ON. 282 p.
Keys, K., Neily, P. and E. Quigley. 2011. Forest Ecosystem Classification for Nova Scotia, Part 1: Vegetation Types (2010). Report FOR 2011-1. Nova Scotia Department of Natural Resources. 264 p.
Keys, K., Neily, P. and E. Quigley. 2011. Forest Ecosystem Classification for Nova Scotia, Part 2: Soil Types (2010). Report FOR 2011-3. Nova Scotia Department of Natural Resources. 119 p.
Keys, K., Neily, P. and E. Quigley. 2011. Forest Ecosystem Classification for Nova Scotia, Part 3: Ecosites (2010). Report FOR 2011-2. Nova Scotia Department of Natural Resources. 92 p.
Kohar, K.A. and J.F. Franklin (Ed). Creating a Forestry for the 21st Century. Island Press, Washington, DC. 475 p.
McEvoy, Thom J. 2005. Owning and Managing Forests. Island Press, Washington, DC. 300 p.
Nova Forest Alliance. 2007. Contractors and Operators Best Management Practices Manual. Nova Forest Alliance, Stewiacke, NS. 72 p.
Robinson, G. 1988. 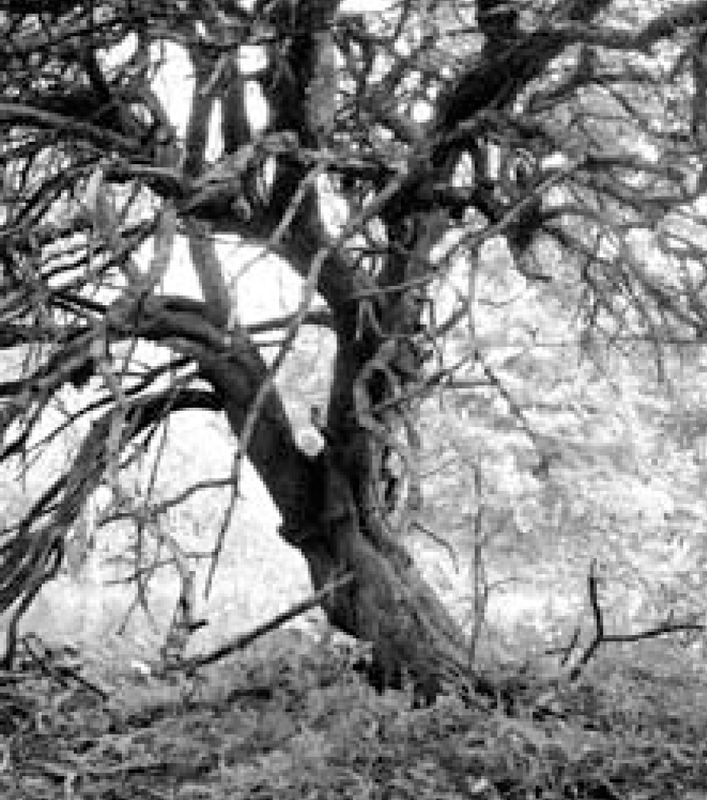 The Forest and the Trees: A Guide to Excellent Forestry. Island Press, Washington, DC. 257 p.